Tenisha was the first African-American woman to graduate from the M.D./Ph.D. program at the University of Florida (c/o 2018). She was successful in the program because of great mentorship, therefore, she is a motivated mentor herself. 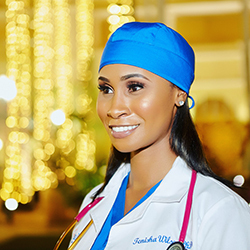 She has an Instagram account (@DrNishsNiche) dedicated to mentoring premedical, medical, and doctoral students.